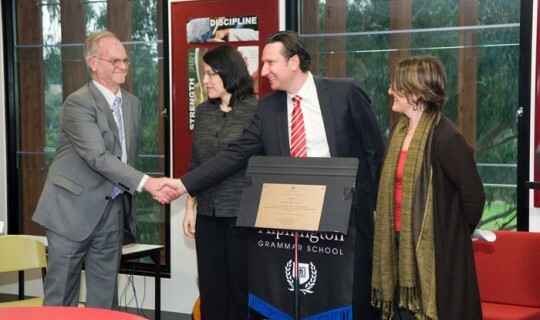 The Official Opening of the Primary Wing at Alphington Grammar was held on May 27th. 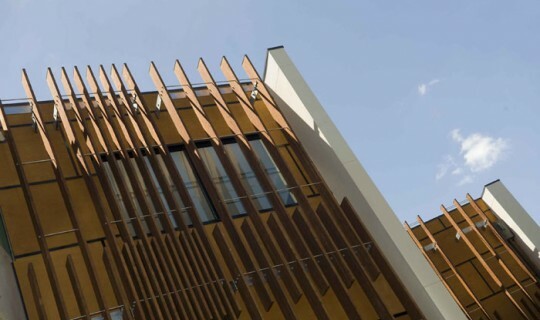 This striking building represents a new era in Primary School facilities at Alphington where classrooms have flexible learning areas to best complement Teaching and Learning programmes. 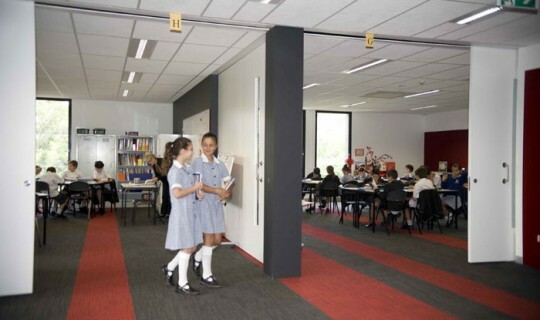 A Federal Government Building for the Education Revolution Project, the Years 3 and 4 rooms were designed by award winning Hayball Architects to maximise the modern learning spaces and enhance the educational opportunities of younger children. The School Council, lead by School Chairman, Bill Papaestergiadis recommended to expand the project through private funding to also build a duplicate floor of classrooms for students in Years 5 and 6. This resulted in a comprehensive facility for all students in Years 3 to 6. This new era in Primary School facilities was officially opened by Maria Vamvakinou, Federal Member for Calwell, representing, Martin Ferguson AO, Federal Member for Batman. As a longstanding Alphington parent, and prominent supporter of Multi-Culturalism and the Greek Community of Melbourne and Victoria, Alphington Grammar was delighted to welcome her as the official MP representative. 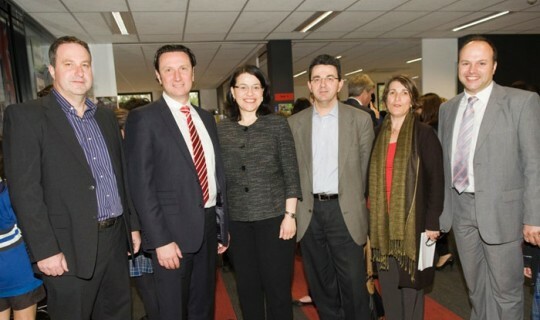 Other guests included Jenny Mikakos MP, Victorian member for Northern Metropolitan region; Bill Papastergiadis, School Chairman and President of GOCMV; Nick Andrianakos, School Benefactor; and Mike Smith, Principal, who was instrumental in guiding the allocation of the BER funding for the building of a state of the art Primary School facility. A crowd of over 60 guests from the School and Greek Community celebrated this Primary Wing Opening. Papastergiadis and Smith both acknowledged the significance of the BER Federal Government funding of $2 million and explained that this project was completed on budget and on time by the builders and capably managed by the School Business Manager, Manuel Pappos. Maria Vamakinou acknowledged the importance of the Federal Government investing in the future for quality education facilities to assist our children to strive ahead. As the Alphington Grammar School Captains thanked all the Official Party, it seemed clear that the BER investment in the Primary Wing would without doubt assist in the quality, flexibility and delivery of relevant educational programmes for the younger students to excel as they progressed through Junior and Middle School.